It is the first time that Shubhankar Sharma made it through to the weekend rounds in a Major championship. 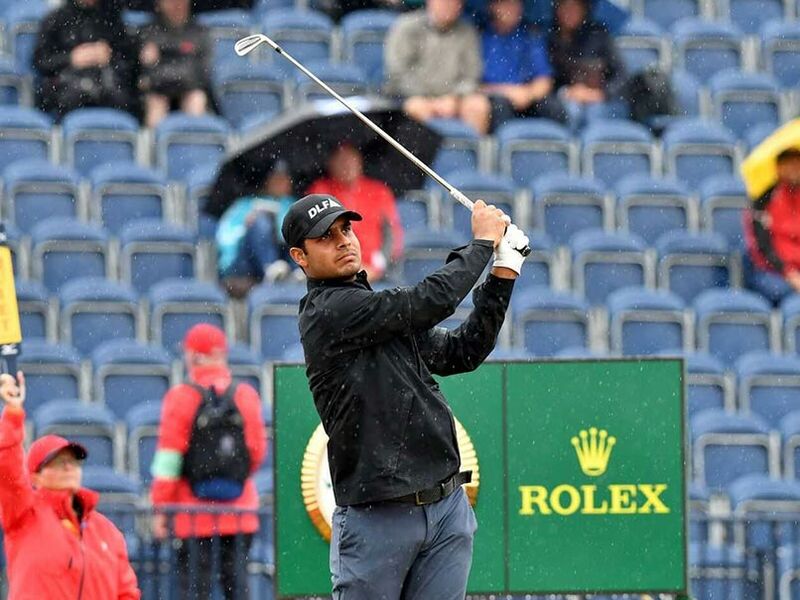 India's rising star Shubhankar Sharma successfully made the halfway cut in his maiden appearance at The 147th Open at Carnoustie on Friday, one day before turning 22. 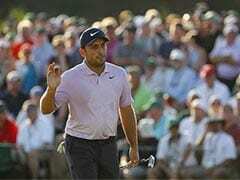 It is also the first time that Shubhankar Sharma made it through to the weekend rounds in a Major championship, having missed the mark earlier at The Masters in April and the US Open in June. India's rising star battled through tough conditions in the morning to sign for a second round even-par 71, trailing leaders Kevin Kisner and Zach Johnson by eight shots in tied-52nd place with a two-over-par 144 total at the world's oldest Major championship. "I am so excited right now. After that tee shot on the 18, I thought I just need to make par because a lot of players have yet to play. My first aim was to hit the fairway on the 18th and then hit the green to give myself birdie opportunity. 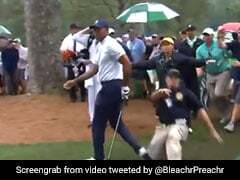 "I made a brilliant second shot to about five to six feet and made the birdie putt. I am really proud of myself, considering I was three-over after nine and made three birdies on the last six holes to get back to even-par," said Shubhankar Sharma, a two-time Asian Tour winner. The young Indian had qualified for The Open after breaking through at the Joburg Open last December. He would go on to embark on a magical season in 2018, claiming several successful exploits on international stage before adding another feather to his cap by making the cut in his Open debut this week. "I wasn't thinking much when I stood on the last putt. The greens became very bumpy. You just hope that the ball stays on the line. It was a nerving moment for me at the end but very happy to birdie the last and make it to the weekend rounds. "This is my favourite Major championship. I imagined myself playing in The Open since I was a kid. I am happy to make the cut in my first attempt. This is also the first time I made the cut in a Major. It is definitely a big moment for me. I am also turning 22 tomorrow so it will be a great birthday present for me," Sharma added. Anirban Lahiri, the other one of the two Indians in the elite field this week, posted a 74 to miss out on the weekend action at the year's third Major championship. Reigning Asian Tour Order of Merit champion Gavin Green of Malaysia and Thai star Kiradech Aphibarnrat carded respective rounds of 73 and 71 to merely make the cut set at three-over-par 145 at The Open at Carnoustie.